It is really the end of August already!? This month just blew by me. Mushmina was all over the map, this week…..a few highlights from August! 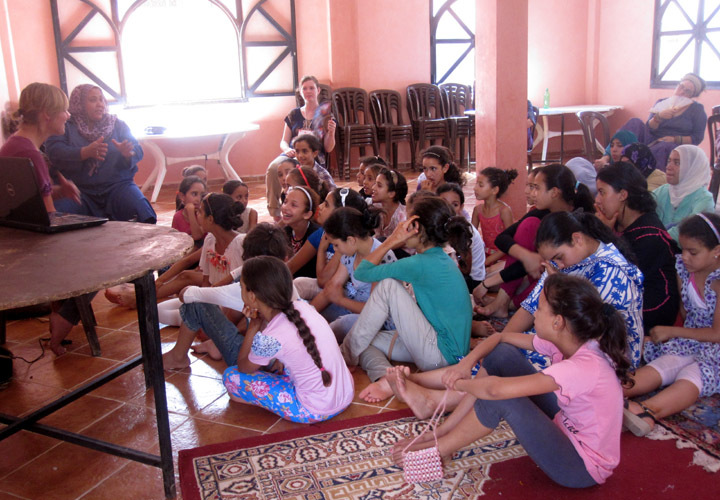 August 12th: Earlier in the month we participated in Camp Glow for young girls in Tameslouht in the region of Marrakech. Hosted by Peace Corps volunteers and led by Sarah Quinn this was a wonderful 10 day camp to train young women and inspire them to think big. Mushmina was invited to participate in an afternoon training on Day 1 of the camp. Lots of excitement in the room! Kenza Jbilou of the Flying Camel Women’s Training Center joined me to lead a workshop on design, color theory, and how to dream big. 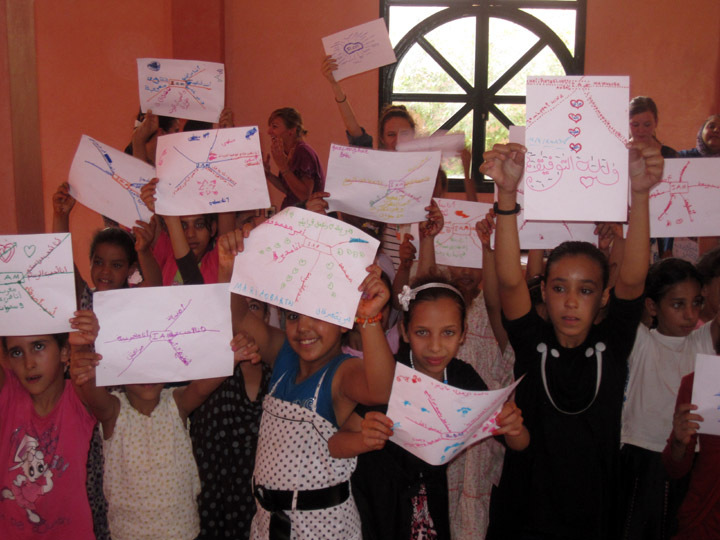 The afternoon workshop finished with an “I AM” visualization where the girls had to think about their futures and what they hoped to achieve. My favorite of the day was the young girl who told me she wanted to own 2 companies! YOU GO GIRLS! 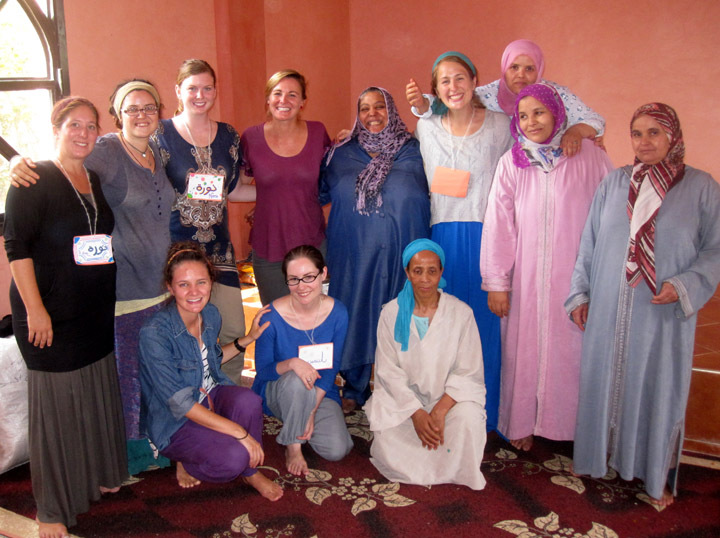 Sarah Quinn and the Peace Corps Volunteers. Thanks for the amazing tagine lunch ladies! You two are so inspiring to the young girls, keep it up!